The last two years have been a tumultuous period for Filipino democracy. 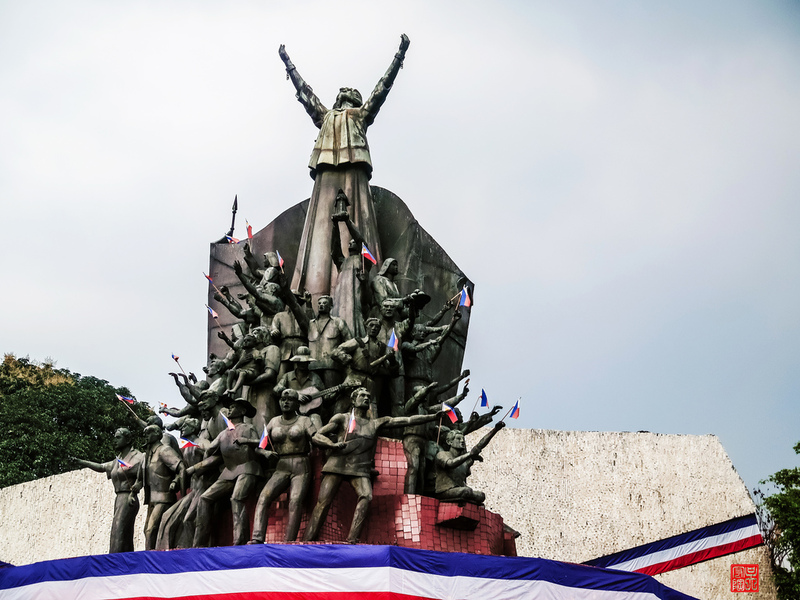 Since the People Power Revolution in 1986, the Philippines became something of a beacon for democratic development in a region beset by authoritarian rule. But in the face of President Duterte’s violent so-called “drug war,” and apparent autocratic tendencies, political dissent has been muzzled and democratic institutions have come under assault. Independent media operate under increasing pressure from the government and in an information ecosystem polluted by disinformation. To get a sense of what is going on in the Philippines, we spoke to Tanya Hamada, the former executive director of the Institute for Leadership, Empowerment, and Democracy (iLEAD) and recent Reagan-Fascell Fellow at NED. She gave us her take on the state of democratic governance in the Philippines and its impact on independent media. In this year’s Freedom House Freedom of the World ratings, the Philippines scored roughly the same as last year, but Freedom House described the country’s trajectory as being a “negative trend.” Did this assessment surprise you? To be honest, I was expecting a lower score than what Freedom House assessed. Let us look at a real incident, related to media, vis-a-vis these scores. When the news came out that Rappler, a Filipino online media institution, had its permit to operate suspended, I was not shocked. Sad, but true. I am no longer shocked by what the current government is doing—at least the Executive branch. They have been attacking institution after institution—the Judiciary, Supreme Court, Ombudsman, Congress, Senate, the Church, civil society, and media. So really, my first instinct was to look at the reactions of the other democratic players in the country. Was there any pushback? I was pleasantly surprised that the pushback against the suspension of Rappler and the voices in support of the outlet have been strong—both locally and internationally—and they continue to be strong. So first, the way the government lashes out at critic is an indicator of their fear of what these voices and institutions can do to check and balance their attempts to consolidate power. Second, there may actually be a steeper negative trend than what the Freedom House scores show given the attacks on almost all democratic institutions. I still believe that there is a strong independent press in the Philippines. Its future will depend on both its capacity to rise above the attacks as well as the future of the broader reform movement and its willingness and ability to stand with independent media institutions. In a recent presentation at NED, you spoke about the problem of “crisis governance” that has taken hold in the Philippines under the Duterte government. What are the indicators for “crisis governance” and how do you see it affecting the media environment in the country? In my presentation, I underscored that the power that government holds is considerable, but not neutral. It can be used to enhance democratic spaces or to close them. When you have a government that is determined to rule by crisis, you open up the vulnerabilities of this power to abuse. A government that governs by crisis has a penchant to consolidate power, and it tends to seek extraordinary powers to address issues that should normally be addressed by institutions. There is a tendency to emphasize expediency over accountability in a crisis narrative through centralized decision-making and by bypassing institutions. So I think, when looking through this lens, there is an increasing trend of the Filipino government governing through crisis. In addition, this can happen in two ways. One, the government can manufacture crises to justify its consolidation of power; or two, it can use crises to accelerate its concentration of power. Either way, it is at the expense of institution-building and the rule of law. Crisis governance removes any chances of checks and balances and media falls squarely into the type of institution that would be victimized and bypassed when crisis governance prevails. With the deterioration of the rule of law in the Philippines, it is easier for the administration to go after the rights of individuals—and for journalists this is particularly worrisome. Journalists are on the frontlines, covering stories in areas where crises are happening all over the country. Therefore, the targeting of individual rights by the government is something we should monitor over the next year. Obviously, attacks on individual rights are also an important concern for civil society leaders, members of the political opposition, human rights activists, and other leading voices critical of the government. It is one thing for the government to go after institutions; it is even more troublesome for the government to go after individuals. This administration’s leadership has already demonstrated that it is not beyond them to do so. Like in many countries around the world, the term “fake news” has been weaponized in the Philippines by the government to target the opposition and undermine the press. Meanwhile, disinformation and misinformation disseminated through social media channels has made engaging in fact-based political dialogue exceedingly difficult. How do you see the assault on objective news and information and the spread of false information affecting institutions of government in the Philippines? In the Philippines, there is a false and dangerous divide, a false narrative that one is either pro- or anti-government. This false divide prevents us from having a substantive discourse about what the country is going through and it disables our ability to focus on the right questions. Take the Rappler incident, for example. We are falsely divided on whether the government did the right thing in suspending Rappler’s permit to operate and whether or not Rappler was right in the way they declared their investors. This narrow debate ignores the questions that should be asked—what does Rappler’s suspension indicate for media freedom and for other democratic institutions? What do Filipinos have to do to hold the authorities to account when the media is under attack? The dangerous divide is exacerbated by fake news and the weaponization of false information. This divide deliberately disables a democratic discourse that should be pushing the government forward. In the face of government harassment, Rappler, among others, has taken up the slogan “Hold the Line.” What do you see as the media’s role in pushing back against the deterioration in democratic governance in the country? Do you think the independent press in the Philippines has the strength and influence to contend with the deteriorating political climate in the country? If so, what obstacles do you foresee for the media in playing this role? This goes back to my initial response about looking for the broader response by democratic actors in the country. When Rappler says, “Hold the line,” I think it is important that we all start drawing our lines in the sand. A government and a leader with an authoritarian bent are attacking institution after institution. What it means for the Philippines moving forward is that—if the media hold their line, I hope other democratic actors and institutions start holding their lines as well to help collectively confront the deterioration of governance in the Philippines. A muted 31st anniversary of the historic People Power movement took place this past February 24. I think all of the democratic forces, more than any one particular institution, have to reflect on what is going on in the country and rediscover the democratic narrative of the Philippines. What are we committed to and what are we committed to do to draw our lines in the sand? Paul Rothman is the Assistant Partnerships Officer at the Center for International Media Assistance in Washington, DC. Maxine Tanya Hamada served most recently as the executive director of the Institute for Leadership, Empowerment and Democracy or iLEAD, a Philippine think tank focused on public fiscal responsibility, meaningful devolution, and defending civic spaces. She is currently a member of the steering committee of the World Movement for Democracy. Previously, she was assistant secretary for monitoring and evaluation in the Philippines’ Department of Budget and Management (2014–2016), where she helped set up a national evaluation policy for the bureaucracy, oversaw the Grassroots Planning and Budgeting Program and relations with civil society, and assisted in the Open Government Partnership and the Cabinet Cluster on Good Governance. In recognition of her civic work, she was invited in 2011 to participate in the U.S. Department of State’s 100-Years-100-Women International Visitor Leadership Program.